← Back to the Brew House? The One That Got Away, a show organized by Jaci Rice at the Brew House, had a really short run, but it kept me motivated to start the year making work. 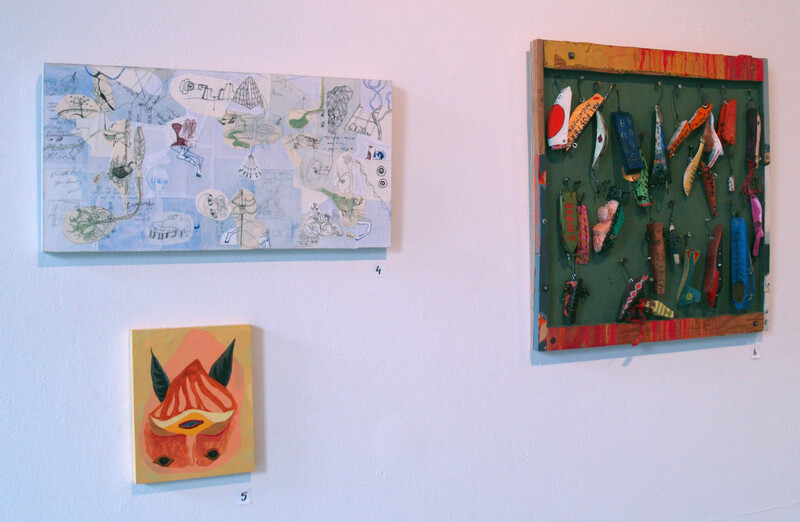 Here are a few shots of the show. 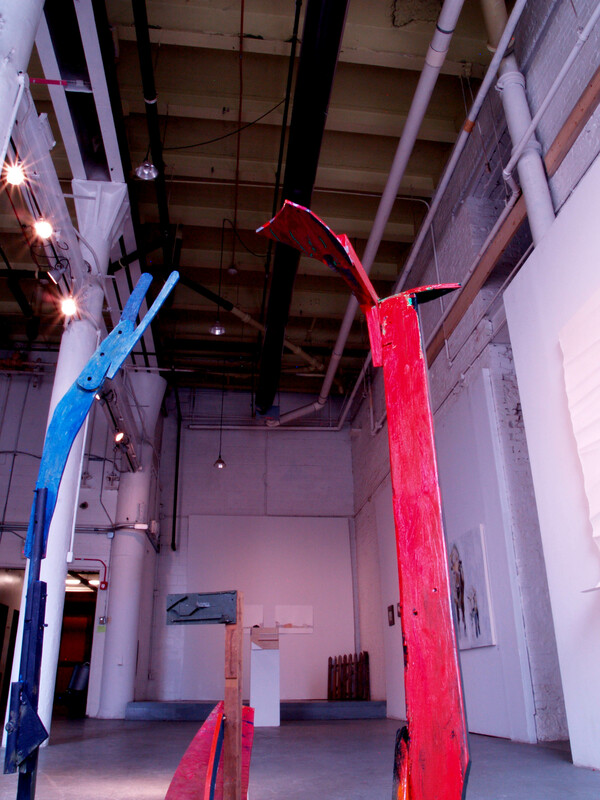 A few of my wooden sculptures, made from parts of previously destroyed sculptures. These will also be deconstructed and made into something else soon. 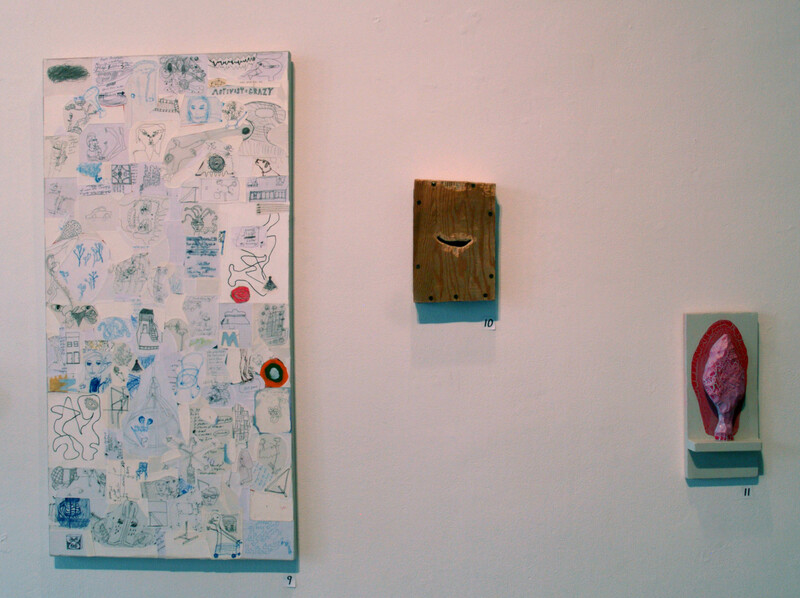 Left to right, DRIPPING FINGERS, SCRATCHES AND VOTIVE, all 2013. 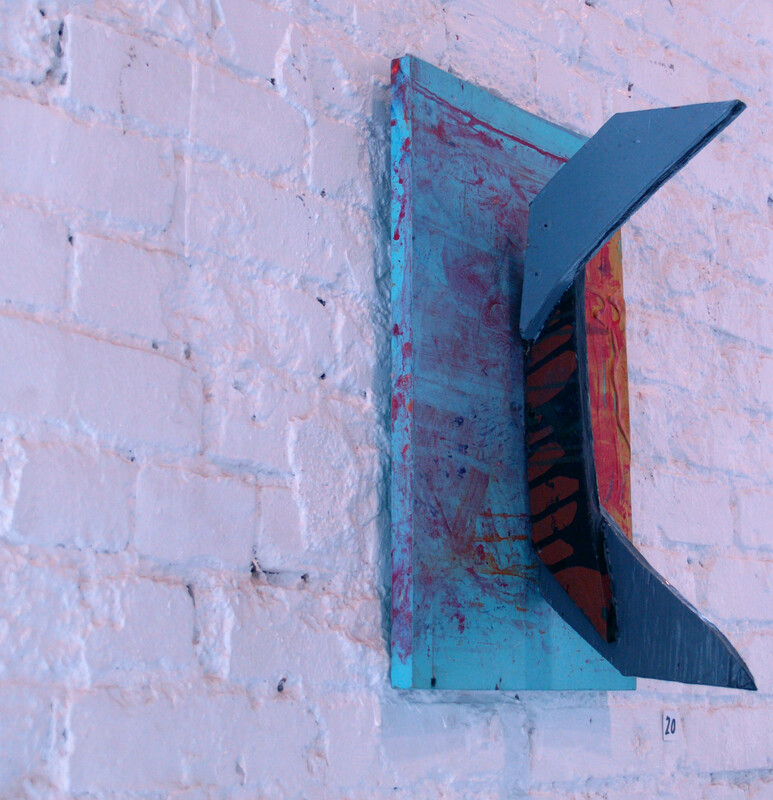 RESTLESS, 2013, wood pieces on wood panel, with acrylic paint.